It is a different day, but the same routine. As if high school isn’t hard enough, she is also a Muslim girl that lives in a judgmental American society; in which everyday is a struggle to cope with the racial profiling that comes her way. She has to deal with the fact that as a Muslim, the racial profiling associates her with “ISIS” and people view her as a “terrorist” and it is not true at all. 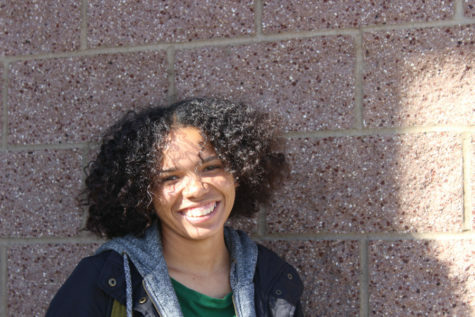 Annika, 11th grade, suffers from the wrath of racial profiling. The hatred that flows in people for other groups of individuals affects her life entirely. She has a permanent label that she does not suit her, but because of her race she is incidentally related to the unfair racial profiling of Muslims. According to Annika, who is constantly subjected to detestation by individuals who have Islamophobia, believe that every ethnicity is exposed to racial profiling, but that some races are targeted and stereotyped the most. She concludes Blacks, Hispanics, and Muslims are the races that are affected the most by racial profiling. Ever since Trump became president, there has been a high rate of racism aiming for certain individuals connected to distinct races. The awareness has grown and also has sparked a match in many people’s lives. Many people get criticized based on their ethnicity. Anikka stated she and other Muslims were stopped for a “random” security check on her flight home from Bangladesh. Gregg, 9th grade, commented that he is underestimated in football for being white and seemingly “unathletic”. Alicia, 9th grade, asserts that she is misjudged for not being good at basketball since “Mexicans play soccer”. Alivia,11th grade, mentions how she feels left out from both of her races because “she is neither white nor black enough to fit in”. Nadra Nittle from Thought.Co points out “often this misconduct stems from xenophobia,” which is the intense or irrational dislike or fear of people from other countries. Even though the oppressors claim to have xenophobia, the oppressed are mainly citizens of the United States. It is often stated that people are born with their racist ways and cannot change who they are for the sake of others benefit. Annika admitted that she used to believe in some stereotypes, but has “expanded her mind” and grew to learn how to not judge an individual based on their racial appearance. She concludes that people are taught the ways to racially profile people and it is not a naturally imposed action and feeling. Muslims and many other races have to choose to either be safe or try to embrace their natural birth given rights to have certain freedoms. Annika has proudly declared being identified as a Muslim women in American society and did not agree to giving up her rights, that are written in the laws and overlooked based on the characteristics of someone, in order for the cost of her safety. She realises that she is at risk for people with abhorrence for Muslims, but either way she will face danger because people will still racially profile her as a Muslim. As one of the scarcely represented races at her school, Annika stands out. She always acknowledges her many friends, but they identify differently as her and she consistently yearns to have someone who can relate to her personal struggles that solely come from the effects of the stereotypes created by racial profiling. She forces herself to push away her thoughts of the condensing side effects of feeling singled out at school and everywhere else because of the insecurities that the prejudice society drilled in her and as usual, she focuses on her school work with the thought of racial profiling in the back of her mind.